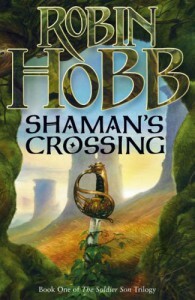 This is also very long - I struggled through it, however, because Robin Hobb is a really compelling writer. I was also under the illusion it was going to be about interesting things, an illusion that shattered when I hit Forest Mage. Basically it was at about this stage of my life that I realised neither fantasy nor Robin Hobb were working for me any more.